Swiss watchmaking company Graham-London got its name thanks to a skillful master of watchmaking George Graham. He was born in London in 1673. 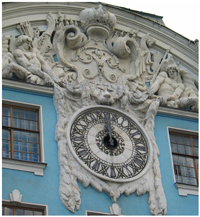 In 1695, he began to work in the watch shop of Thomas Tompiona, and several years later opened his own watch business to assemble and manufacture of machinery. Graham was famous brand products of very high quality, accuracy, speed and reliability from the very onset of the watch market. Soon after George Graham was named a member of the Royal Society and received orders Greenwich Royal Observatory. Graham has patented several inventions and discoveries made a lot of time for its work. Years passed and the brand Graham was forgotten. But in 1995 the name began to sound in the world watch market again. 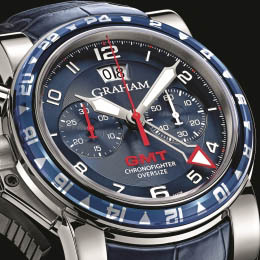 Graham-London is one of the largest watch companies, which is part of the British Masters. Production is in the Swiss town of La Chaux-de-Fonds, which produces the best watch collections of the most famous Swiss brands. Opening a Swiss watch company Graham-London are a few lines: Chronofighter, Tourbillograph, Silverstone, Swordfish, RBS 6 Nations, Mercedes GP Petronas, Swordfish Jewellery and Tourist Trophy. Each of these lines is a multi-functional and high quality wristwatch chronographs that are made of durable materials. They have an extraordinary style and design. Limited edition watch called Tourbillograph-line sports company. It is represented by several chronographs. Trackmaster Black and Tratskmaster Chromium was released in honor of the championship title of the world famous racing driver Jenson Loaf. Produced the watch of a very high quality stainless steel with rubber straps that resemble rubber car. Chronographs are equipped with a tourbillon, a 12-minute and 30-minute hour counters. A similar design are models Silverstone Woodcote and Trigger. cases of these watches are made of red 18-karat gold-belts and alligator. Another line Chronofighter model combined with a unique lever movements that resemble those that were once used during World War II by British pilots. The collection contains exclusive chronometers Oversize, Trigger and RAC / FlyBack (with the function FlyBack) Oversize GMT Steel and Oversize GMT Steel & Gold (with dual time), water-resistant Oversize Diver, etc. Produced watches are made of gold and steel. Equipped with straps of crocodile skin, as well as rubber. Collection Silverstone was so named due to the famous race track in Formula 1. 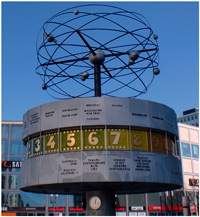 Here you can find many unique chronographs with tread belts, for example, Stowe, Stowe GMT with dual time and an interesting design, Luffield and Luffield GMT to GMT and tachymeter function, as well as simplified watch, equipped with a calendar Time Zone. Limited Editions and Swordfish Jewellery created specifically for design competition organized by the Centre for Contemporary Art in conjunction with an watch by Graham. Wrist watch, called "Swordfish," look unusual and fashionable. It has two counters with a welt framed magnifying glasses. The most striking representatives of the series may be called a model PVD, Booster, Grillo and jewelry watches Lucy, Ali Baba and Snow White. Dials, crown and casing encrusted with white diamonds. Actively collaborating with the sport Swiss watch company Graham-London a few years is the official timekeeper of the Six Nations Cup rugby. The company is constantly releasing dedicated Cup watch RBS 6 Nations. In the collection there are several models: Chronofighter RAC 6 Nations Celebration and Chronofighter Oversize Referee, which differ in an interesting design and symbolic colored stripes on the dial. Graham also works with Mercedes GP Petronas, in connection with the cooperation of the same name appeared chronograph collection. It is composed of watch Mercedes GP Silverstone and Mercedes GP Trackmaster, equipped with tread straps. The last collection of the most popular watch brand was called Tourist Trophy. Watches Tourist Trophy Isle of Man, representing this collection have been released specifically for the popular racing Tourist Trophy. Opening a Swiss company Graham-London will appreciate any collectors and people who are fond of watchmaking.